This week a festive night out with two of my oldest friends began with a not so festive dinner at Ping Pong. We were already doing Christmas markets and going to a screening of Love Actually (complete with complimentary mulled wine and mince pies!) so we figured for dinner something not so traditionally Christmassy would break it up a little bit. I’m something of a newcomer to dim sum. I’ve not really ventured into it before but handily had my friends to guide me through it and make recommendations. 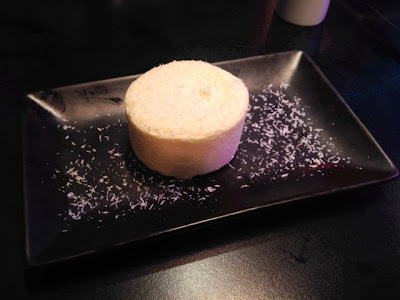 Ping Pong also has several different set menu options which eases the pressure of choosing a selection of dishes of which you’re not entirely sure what they are. All of the staff were ridiculously helpful and accommodating too so I wouldn’t hesitate in asking them for guidance. We all went for the special £20 V&A Masterpieces of Chinese Painting menu. 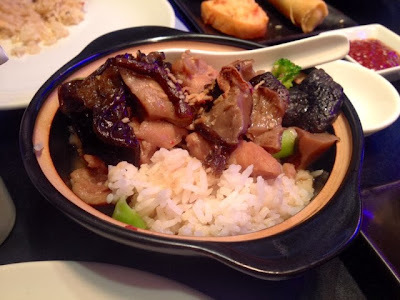 This consisted of a course of baked and fried dishes, a rice bowl and a course of steamed dishes. There are several set menu options at different price brackets but also a more open menu should you wish to pick and choose. As a total novice to the whole dim sum thing I figured a set menu was my safest bet to guide me through the dishes. First of all we were served up our fried dishes with the baked pork puff. 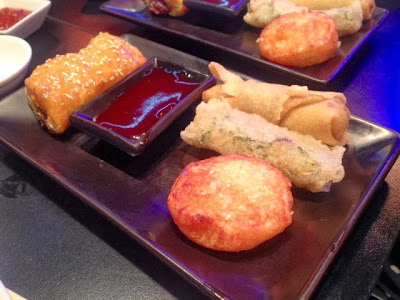 This was the course I was most familiar with, with spring roll and prawn toast type bits. The prawn toast was definitely one of my favourites of the night though. Alongside this came our rice pot with honeyed chilli chicken. This had some delicious and enormous oyster mushrooms in it which are a particular favourite of mine. The final savoury course of the evening was the steamed selection. This was the part I was least familiar with and therefore the most excited about. I’ll admit to the uninitiated or the unadventurous these don’t look the most appetising but the flavour punch they pack is truly incredible. The spicy vegetable dumpling is pretty hot but it’s not a lasting heat. I’m not 100% sure which one from the menu the green dumpling was, but it was an unexpectedly delicious delight, my favourite of the lot. One of those tasty mouthfuls that makes you exclaim ‘Mmmm, mmmm’ and start vigorously pointing at it whist you still have a mouthful to indicate to your fellow diners how amazing it is. 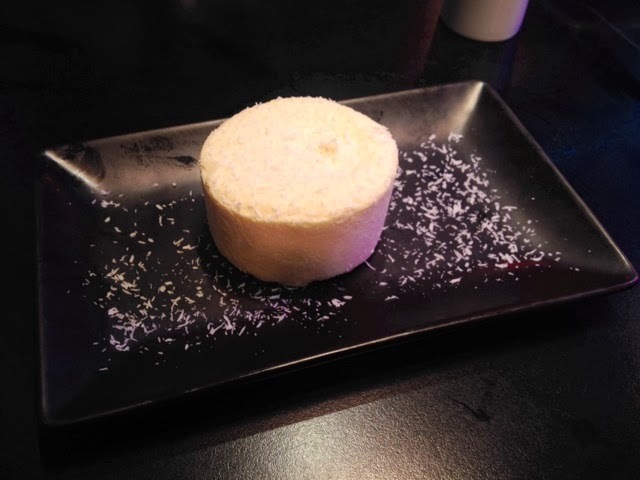 The dessert was a coconut parfait which was tasty but not really something I’d have bothered ordering if it hadn’t been part of the set menu. It rounded of the menu nicely though. 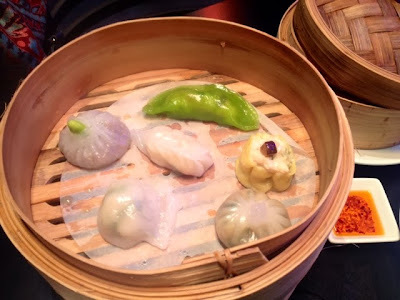 I really enjoyed the steamed dumplings as it was a totally new experience, and some of these were among my highlights of the evening.